Discussing my Master’s degree with other educators occasionally leaves me feeling like I’ve poorly represented IE. I spin into soliloquies of awe and Vygotsky and Plato’s cave… and I’ve lost them. I would hope this isn’t anything to do with me being an inadequate speaker. When another knitter talks to me about the sweater I’m knitting, I’m pulling up Kate Davies’ website for them and giving them a sample of some Lopi I randomly had in my purse. Next thing you know, we’re best friends forever. Why is it when others educators talk to me about IE, it goes a little wonky? I think it is because talking about IE is just very different from talking about the majority of educational practices. Most programs come with reproducible worksheets, a not-too-long booklet, or a helpful 5-minute Ted Talk. For example, Reading Power (please know, I adore your work, Adrienne Gear), MindUp, Kids in the Know, and the majority of other education ‘innovations’ prepare teachers in a half-day professional development workshop; teachers leave with a manual that has plenty of worksheets to reproduce. There’s nothing wrong with this, but unless something really captures the teacher’s imagination, the books stay on the bookshelf. You may use some of the ideas, but the majority of the book goes unread. Well, there isn’t a one-size-fits-all, glossy, “how-to” manual for being an IE teacher. This TEDx talk on IE is awesome, but you won’t become an IE simply by watching it. There’s really no manual for IE. 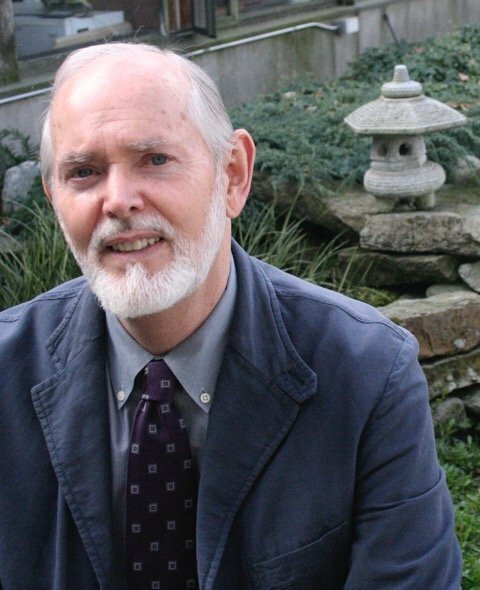 I can point people towards the IERG website, this imaginED blog and its research page, or any number of Dr. Kieran Egan’s many books–my favourites being The Educated Mind, or Imagination and the Engaged Learner, or Learning In Depth. (Google “Kieran Egan” to find many many more books on IE.) IE has professional development days and conferences, too, but you aren’t going to come away with worksheets about IE. IE is a theory of education. It deals with the “Kinds of Understandings” that ignite the learner’s imagination. It show how “cognitive tools” help educators reach their learners; they are the best way for those learners to learn. It doesn’t matter what technology you have, it doesn’t matter what you are teaching, what matters is that you think about who you are teaching (kinds of understanding), how they are going to learn best (cognitive tools), and how best you are going to teach them (actually caring about what you do). There’s no manual for this. I have found the best way to talk about IE to other educators is through my unit planning. So let me do that! First off, my group of learners demonstrate the beginning of Romantic Understanding. They carry a lot of cognitive tools with them from Mythic Understanding, too, but they are diving headfirst into many of the Romantic cognitive tools. My teaching employs cognitive tools from both Mythic and Romantic toolkits. I started off with thinking about the why of math. Why do we teach math? Why does it matter whether or not our students care about math? I had a few musings: it’s so important for children to believe in their math skills so they have access to a variety of opportunities, math is fun, math is in every subject but especially art and crafts (I’m figuring out how to design a fitted sleeve cap for a cardigan I’m knitting right now and… yeah), and so on. 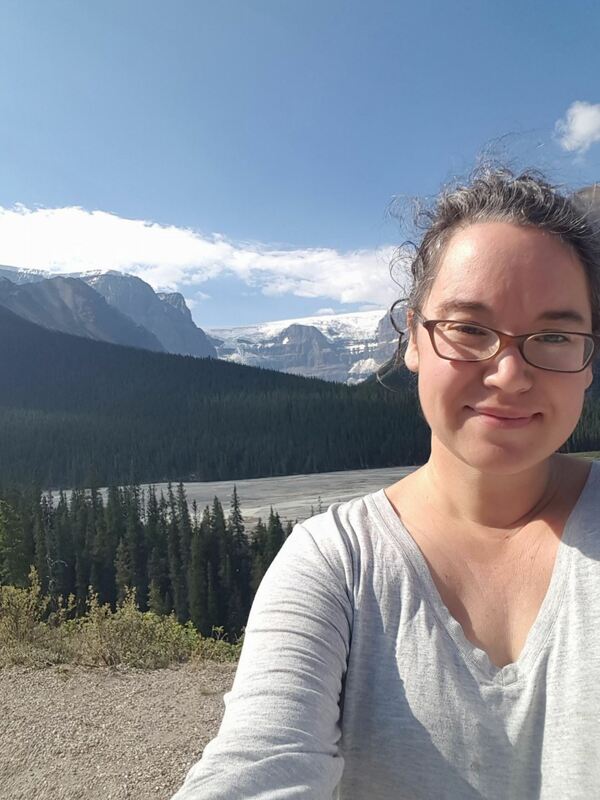 It was through looking at math books intended for adults that I started to see a common thread that was crying out for attention: math is universal. It is inclusive. Voila- I had my first cognitive tool: a heroic quality! Working with the quality of inclusiveness, I started up a narrative around feelings of exclusion and not belonging. We were finishing up a writing project on writing a personal story that makes you stand out from the crowd, so I was able to draw upon that as an affective and engaging binary opposite . We talked about times we wanted to stand out and times we wanted to be included. A very effective part of this lesson was when my classroom aide and I started a conversation in French in front of my students. They were enraged and demanded to know what we were saying! (They were a tad disappointed to find out that we had just exchanged how we were feeling and I commented on the weather while my aide was listing foods randomly!). Needless to say, when the conversation about math being inclusive was started, the emotions of my students were front and centre! Presenting this to my class was a great mystery for them. The first day I had a strip of paper going from our classroom, down the hallway, down the stairs, around the corner to the computer lab, across the lab door towards the library, and across the library doors. 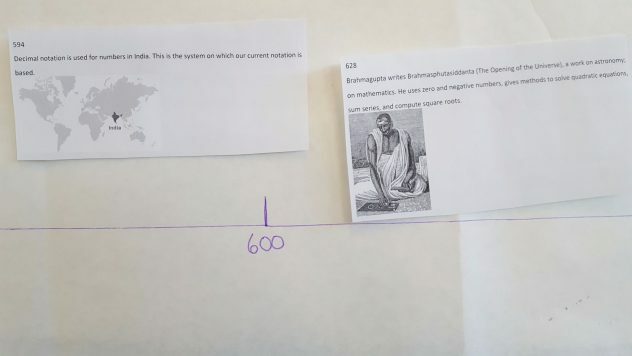 From there I realized I would need to go outside to get all the way to 5000 BCE so I accordion-folded the equivalent length of paper (when the time came to do the timeline activity, I let the kids unravel it and run (walk) down the hallway). The ridiculously long strip of paper got them wondering how this was going to be related to math. One of my students commented that it was going to be an art activity because I had told the class that math and art are connected and, according to her, I’m ‘sneaky like that’. The next day I went and started the timeline with 2017 being the closest to us and working backwards. Each 30 centimetres was 50 years. A few students figured out that I had made a time line but were annoyed with how small the section for ‘now’ was. What was with all this paper coming after the year they were born? What possibly could have occurred back then (you know, before 2010) that could possibly be interesting? Finally we started the timeline. In groups of two, students got an event and had to find its place on the timeline. I commented about each one as I handed it out to them and they liked to see what their peers were putting up as well. When we were all done, we started at the beginning and worked our way up to present day. My students created “I wonder” questions and tried to figure out the meaning of Pascal’s Triangle, the Konisberg Bridge Problem, and the Fibonnacci sequence. Some students tried to sketch out some of the curves and many were interested in space filling curves (Check out this cool video). 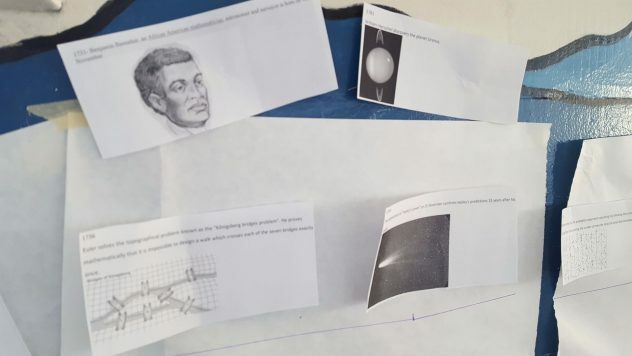 Forgive the messiness (they have been moved a lot and have fallen off frequently and put back up): here is the Konigsberg Bridge problem, Benjamin Banneker, Haley’s Comet, and an astronomy fact. The next lesson was a math quiz. I created 30 questions based on events on the timeline and printed them off and cut them out so I had 9 groups of the questions. The students were put in groups of 2 and created group names. The groups got one question at a time and had to correctly answer it before they got the next question. Students were helping other groups find events when they were stuck and laughing about some of the questions (they had to act out throwing matchsticks over their shoulder to show the Buffon Pi estimation). It was a wonderful activity to start conversations about math and encourage mathematical language. We went over the answers and some students who finished early started generating questions based on events I had missed. 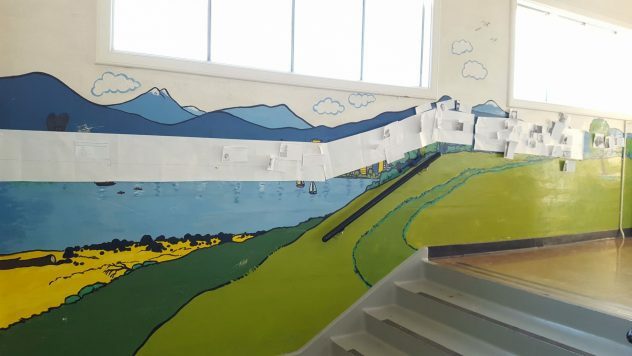 A bonus here was that because this timeline stretched down two hallways and over a staircase, my kids were exhausted afterwards and ready for independent and buddy reading! We are now at the end of the introduction unit. My students have picked out a topic they would like to pursue independently, like Pi, Ada Lovelove, astronomy, or the Fibonacci sequence. Many students have picked the same topic and want to work together. I’m not particularly sure how this part of the unit will go. My students are a driven group and enjoy working together but there is a not a lot of time to devote to independent study. I’m hoping to dedicate 30 minutes a week to this part of math. What this timeline has given me is a narrative for which to base all other subjects in math. We are now doing place value and studying different number systems to learn the importance of place value. I can reference mathematicians and famous mathematical concepts and my students will have a basis of that understanding. This introduction to math has engaged my students’ imagination and hopefully changed some mindsets about math. We learned that math emerged all other the world from all cultures, it was never a secret kept away from people, it included everyone. We learned that exclusion happened in math because of other people (Sophie Germain, for example), but that this exclusion paled in comparison to the inclusiveness nature of math. So that’s it. If at this point the person I’m talking to is still interested,I might start to talk about Vygotsky and Plato, but that is another post. Cheers!